Japan has served as the setting for a number of Hollywood films. 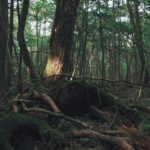 For foreigners dreaming of the Land of the Rising Sun, these films might be their first exposure to the sight of certain real-life places across the country. Here we take a look at some of those places — an elite honor roll that has served to provide the most memorable set pieces in major motion pictures depicting the country. We have a separate GaijinPot guide to the best Lost in Translation spots in Tokyo, where we tour the locations featured in that movie. This list covers a range of other films from Silence (2016) to the Americanized crossover hit Godzilla, King of the Monsters! (1956). If you want to live the movies in Japan, this is your must-read crash course on the best spots. Director Martin Scorsese used Taiwan as a stand-in for Japan when filming his adaptation of the Shusaku Endo novel Silence. However, the film is set mostly in Nagasaki Prefecture and it depicts real locations there such as the steamy hot springs area Unzen Jigoku (Unzen Hell). This is where the movie opens, with Liam Neeson’s character sinking to his knees as he watches his fellow kakure kurisuchan (hidden Christians) being martyred. Today, a cross marks the martyrdom site while sulfuric steam continues to rise from the ground. 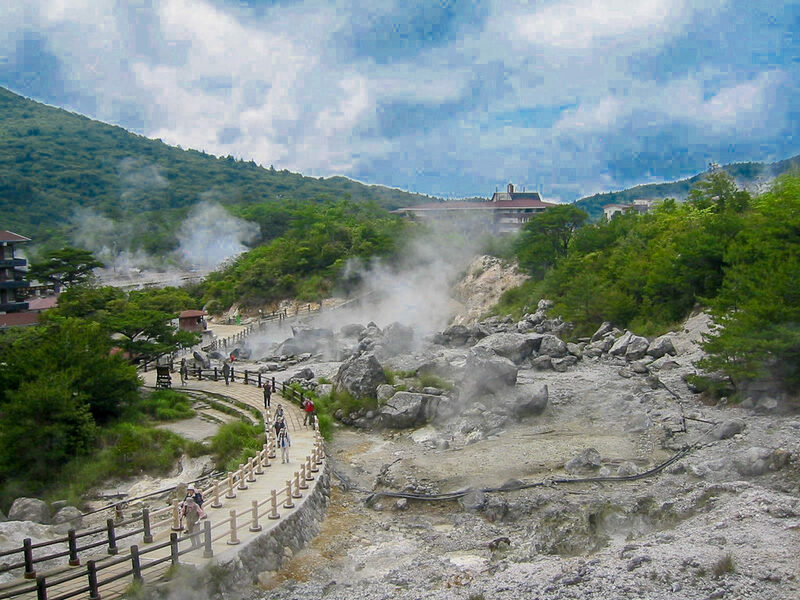 A place of historical significance, Unzen Onsen is also a thriving hot springs town. At the Twenty-Six Martyrs Museum in Nagasaki City, you can see Our Lady of the Snows, an artifact reproduced for the movie. 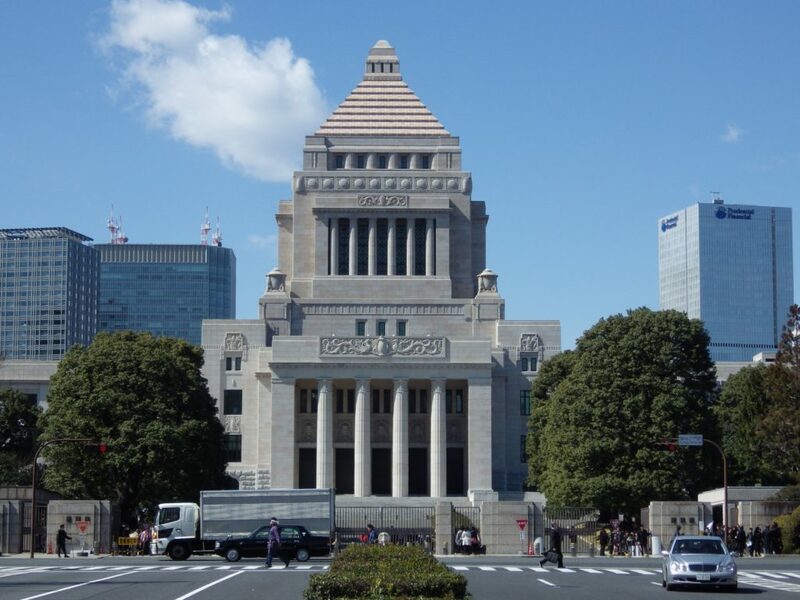 The scene in The Wolverine where Hugh Jackman fends off tattooed yakuza goons at a funeral was filmed mainly at Zojoji Temple in Minato. 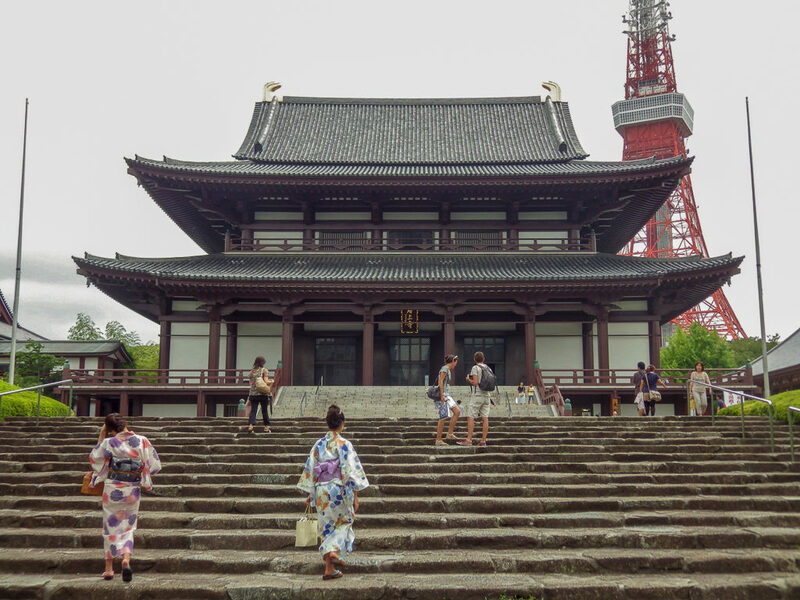 At this temple (goons not included), Tokyo Tower looms large in the background. It’s only a short walk away. Since Wolverine is a superhero, it takes him just two minutes to run all the way across town — through Akihabara and the obligatory pachinko parlor — to Ueno station’s central exit. In reality, the course of the foot chase away from Zojoji would take about 1 ½ hours to walk. The bullet train to Hiroshima lands Wolverine and his love interest, Mariko (played by Tao Okamoto), at an architecturally unique Japanese love hotel. 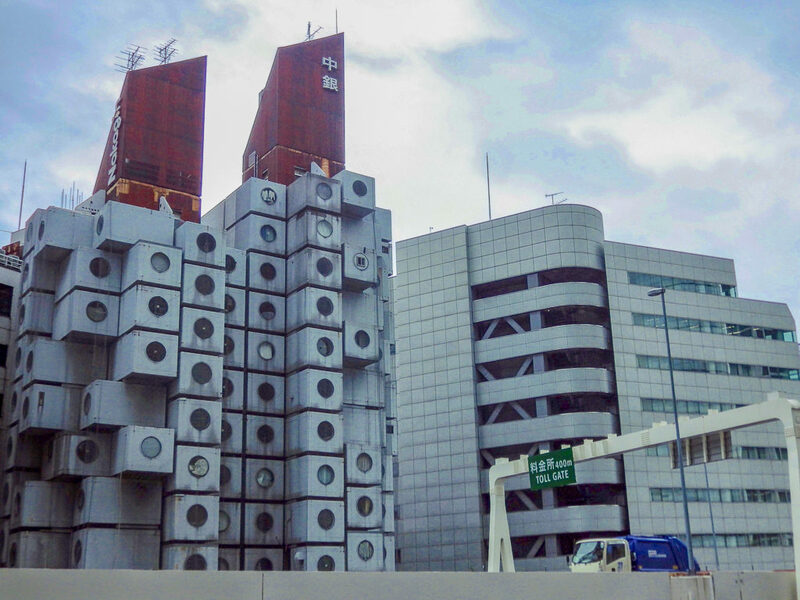 In fact, that building is the famous Nakagin Capsule Tower, which is actually located back in Tokyo, next to an overpass in Shimbashi. Designed by Kisho Kurokawa, the tower is a relic of the post-war Metabolism movement in architecture. It now serves as a residential and office space. Screenshot from Babel, distributed by Paramount Vantage. 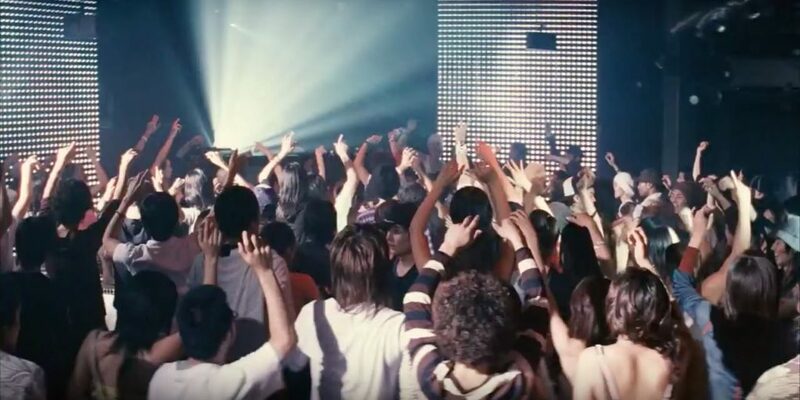 One of the standout scenes in the Oscar-nominated Babel comes when Chieko, a deaf teenage girl played by Rinko Kikuchi, ventures into a laser-lit Tokyo nightclub with her friends. As they dance to DJ Shinichi Osawa’s remix of “September” by Earth, Wind, and Fire, the sound cuts out completely whenever the camera switches to Chieko’s perspective. This scene was filmed in Womb, a real nightclub in a nondescript building in the back alleys of Shibuya’s Dogenzaka area. The club boasts a mirror ball that is purportedly Asia’s largest, but you can forget about shooting your own Instagram or YouTube tribute to the movie scene. To ensure the privacy of its patrons, cameras and recording devices are not allowed inside Womb. Shibuya’s famous scramble crossing can be glimpsed in Babel and numerous other Hollywood films like The Fast and the Furious: Tokyo Drift. 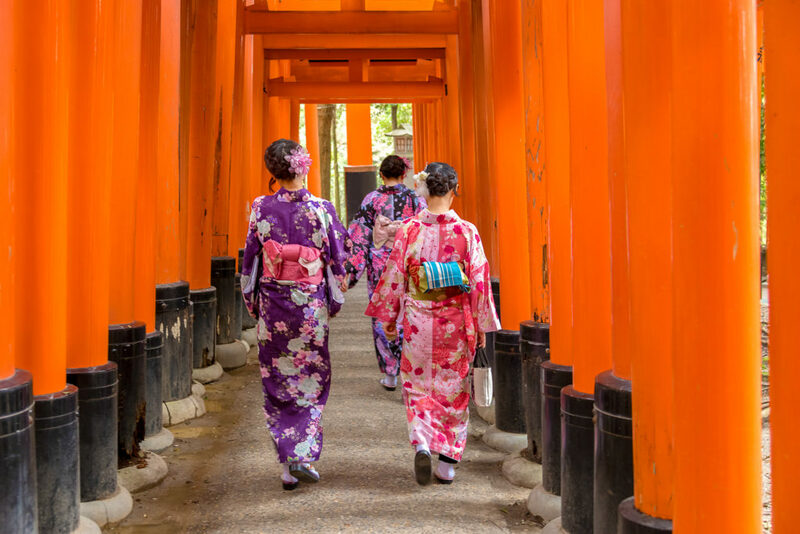 In Memoirs of a Geisha, there is a striking moment in the first act where the future geisha, young Sayuri, is seen running through a tunnel of vermillion torii (Shinto shrine archway) gates. This moment is later revisited in a flashback at the end of the film. 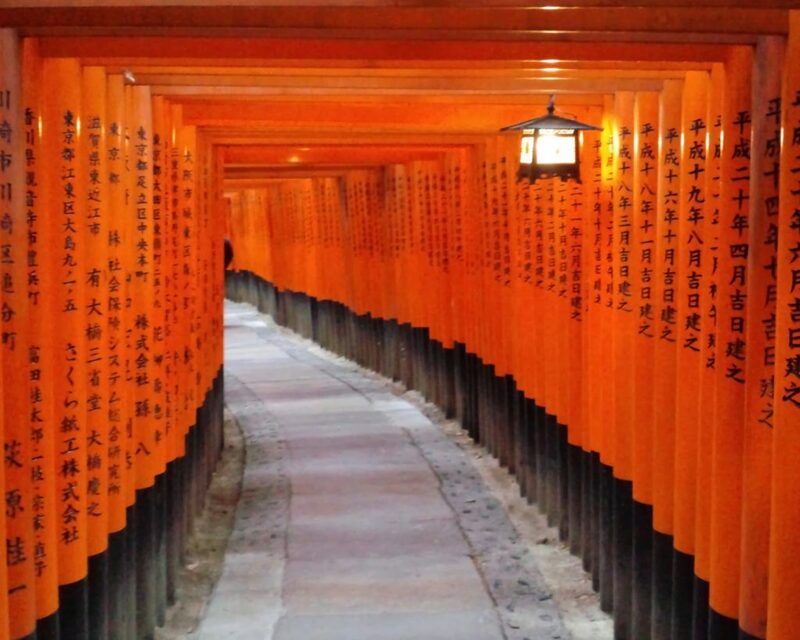 The torii gate tunnel can be found at Fushimi Inari Shrine. One of the more recognizable symbols of Japan’s ancient capital, Kyoto, the tunnel leads up a mountain and can be accessed 24 hours a day. Photo from The Last Samurai, distributed by Warner Bros. The Last Samurai also visits Kyoto, blending CGI with shots of Chion-in Temple in order to have it double for the Tokyo Imperial Palace. The real palace, with its iconic view of Nijubashi (Double Bridge), does appear briefly and has also appeared in films such as Emperor with Tommy Lee Jones. Near Kyoto, in Himeji, Hyogo, you can find Engyoji Temple on Mount Shosha. Recognizable for its long wooden floor and pillars, the temple’s main hall is where Tom Cruise and Ken Watanabe’s characters meet and converse about Custer’s Last Stand. Watanabe also starred in Clint Eastwood’s World War II epic Letters from Iwo Jima, but only civilians attending memorials for fallen soldiers can access the island. “Showdown at House of Blue Leaves,” the last chapter of Kill Bill, Vol. 1, was filmed on an elaborately constructed set in Beijing. Yet that set was inspired by a real-life soba and kushiyaki (grilled skewer) restaurant in Tokyo. 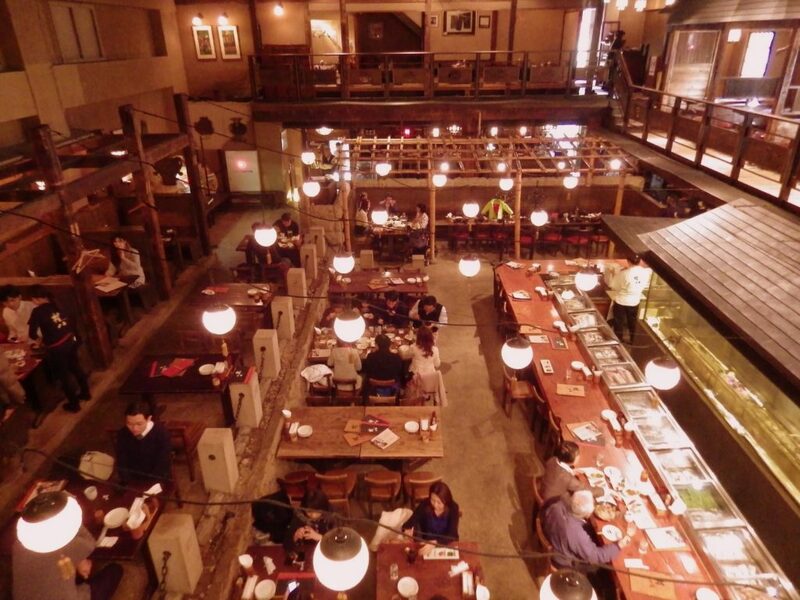 At Gonpachi Nishi-Azabu (about a ten-minute walk from Roppongi station), a sign on the wall identifies it as “The Kill Bill Restaurant.” A glass case inside also displays Kill Bill memorabilia and a photo from when filmmaker Quentin Tarantino visited. Up on the second floor, you can survey the scene much like Uma Thurman’s vengeful Bride did in the movie. Only instead of looking down on a bloody pile of Crazy 88 gang members, you will be looking down on a charcoal grill and dining room full of various table occupants. Head counts may vary; samurai swords should be checked at the door. Screenshot from Black Rain, distributed by Paramount Pictures. The late Ken Takakura was perhaps most well-known to Western audiences for his role as an Osaka police detective in the 1989 film Black Rain. The neon-lit district where he and Michael Douglas inspect a nightclub murder scene and Douglas’s character decides to hoof it home without him — only to be harassed by motorcyclists — is Dotonbori. Director Ridley Scott originally wanted to film in Kabukicho, Shinjuku, which may be part of the reason why that district came to be associated with his other film, Blade Runner. Though its title is often invoked in reference to Shinjuku at night, Scott has cited Hong Kong as more of an inspiration for Blade Runner. 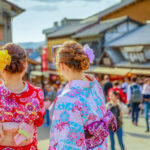 Hanazono Shrine is in the same neighborhood as Kabukicho, however, and its bells were the inspiration for the face of Baymax in the Disney animated feature Big Hero 6. In a future post, we will take a look at James Bond movie locations in Japan, including one from Skyfall and some others featured in the 1967 Bond film You Only Live Twice. In the meantime, no movie location tour of Japan would be complete without Godzilla. The film that made the monster famous worldwide is Godzilla, King of the Monsters!, a re-edited American version of the original 1954 Japanese Godzilla film. In both versions, Godzilla spares the National Diet Building but destroys Ginza’s Wako clock tower and the Sumida River’s Kachidoki Bridge as he wreaks havoc on Tokyo. The final showdown in the recent Japanese film Shin-Godzilla took place at Tokyo station. 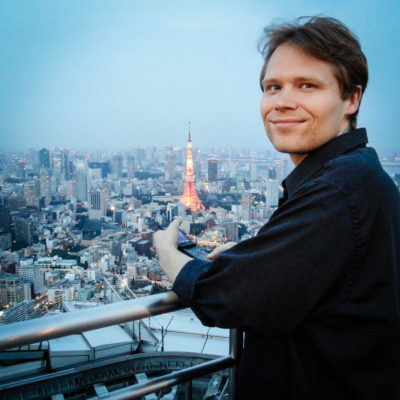 What movie locations in Japan have you visited? 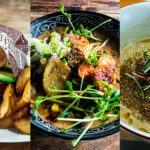 Are there any other noteworthy spots we left out? Sound off in the comments!